HUMBLE — Nicholas Tijerina and his mother, Donna Tijerina, can’t stop laughing as she adjusts his glasses, tucking them under his red graduation cap as he grips his walker. He stands in the living room Monday morning, wearing the red gown he donned for his graduation ceremony and as the laughter subsides, he takes a step forward — a recreation of the emotional moment he walked up to receive his diploma from Atascocita High School in Humble. The ability to physically walk up a stage to accept a diploma is one most people might take for granted. 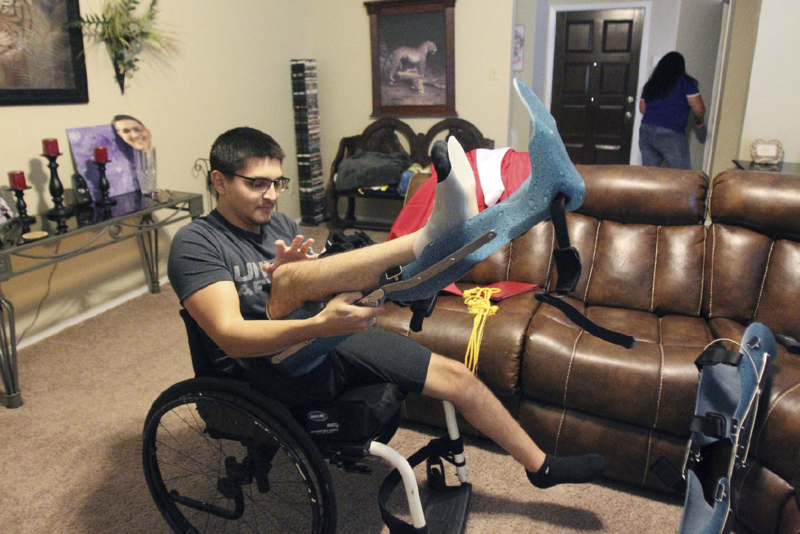 For Nicholas, it was a goal he strived for after being left partially paralyzed almost seven years ago. Nicholas had practiced walking the previous summer, but not again until just a week before graduating — this after he already endured years of physical therapy. Before graduating from Atascocita, he was a student at Harwell Middle School in Edinburg. 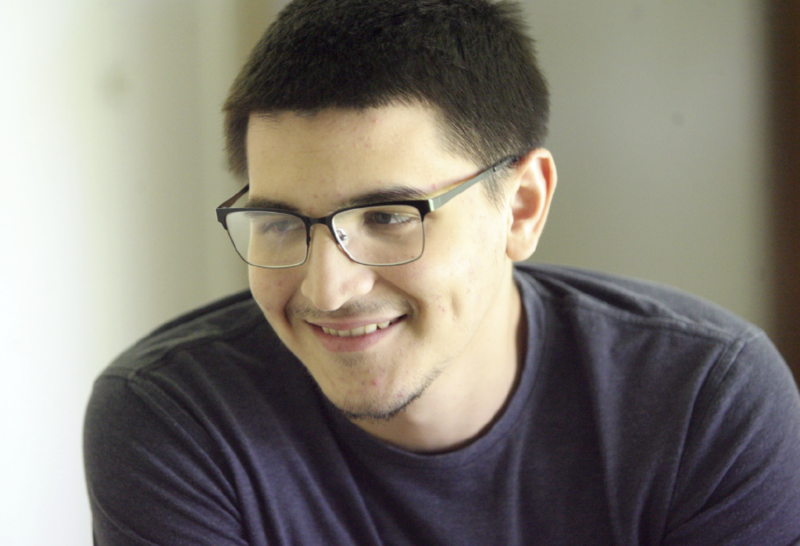 In December 2011, Tijerina was participating in outdoor basketball tryouts when he and another student, Edson Amaro, were shot by stray bullets. At a nearby ranch, Dustin Wesley Cook was target shooting when the boys were hurt. Authorities believed the bullets that hit Nicholas came from Cook’s rifle and he was subsequently indicted on charges of causing bodily injury to the two students. Cook pleaded no contest to criminal negligence charges and was sentenced to three years of supervised release in 2014. Donna had also sued Cook for gross negligence and in 2015, the parties settled for an undisclosed amount. 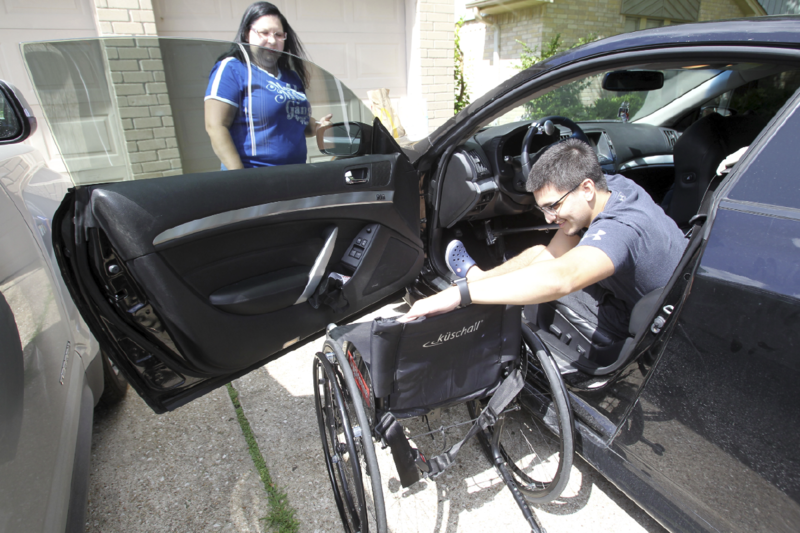 At the time the settlement was reached, she said that a specially adapted car was one of the first things he wanted to buy. Earlier on Monday, Nicholas pulled into the driveway in his black car bearing breakfast from McDonald’s. To drive, he explains, he utilizes hand controls that are attached to the brake and the gas. He was younger then, Nicholas says, and the conversation delves a little deeper into his dating life. His mom then prompts him to tell the story of how she met his current girlfriend, but he doesn’t want to tell that story. She later tells it anyway. As he speaks of his life now, preparing to start classes at the University of Houston in the fall to study biomedical engineering, he appears an upbeat 19-year-old and discusses matter-of-factly what happened to him. He laughs and jokes around with his mother who, at times, points out that she can’t get her son to stop talking. However, he says there was a period of about two to three years when he was angry over what happened. Releasing that anger came with maturity. “Because, honestly, when you’re younger you’re going to be more naive and think you can be mad forever, but there’s a point when you get sick of being mad and you just want to move on,” he says. But, apart from the reminder that is his physical condition, he, his mother and sister got matching bullet tattoos with the date of the accident. Nicholas got it for his 18th birthday as a reminder of what he’s been through. However he adds that he doesn’t really think that much about the accident. The only time he thinks about it is when he tells people the story of what happened, he adds, and that’s rare.